Don’t mind me, I’m just doing my bit for the economy. Space NK has one of those discovery deals at the moment, where you get money off and I had an incentive. No brainer. Yeah, I got two cleansers. I need clean skin OK? 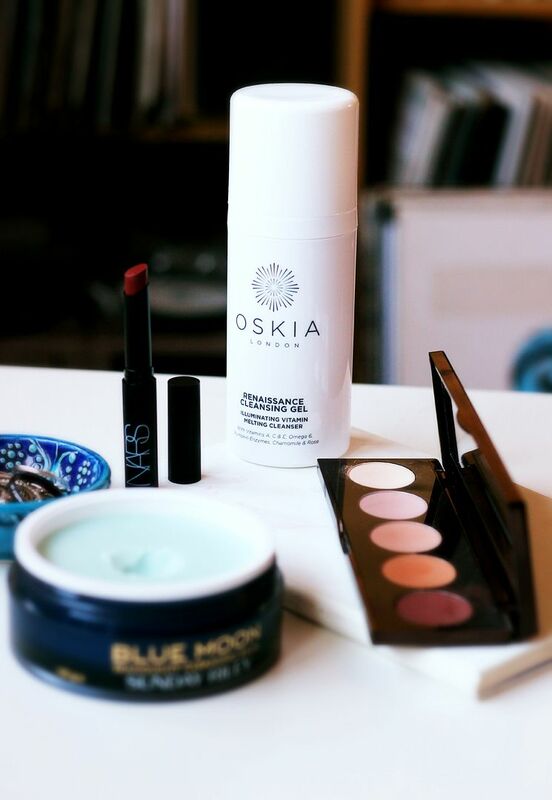 A repurchase of the Oskia Renaissance cleansing gel – I missed it when I ran out, and it’s the perfect morning cleanse for my skin. 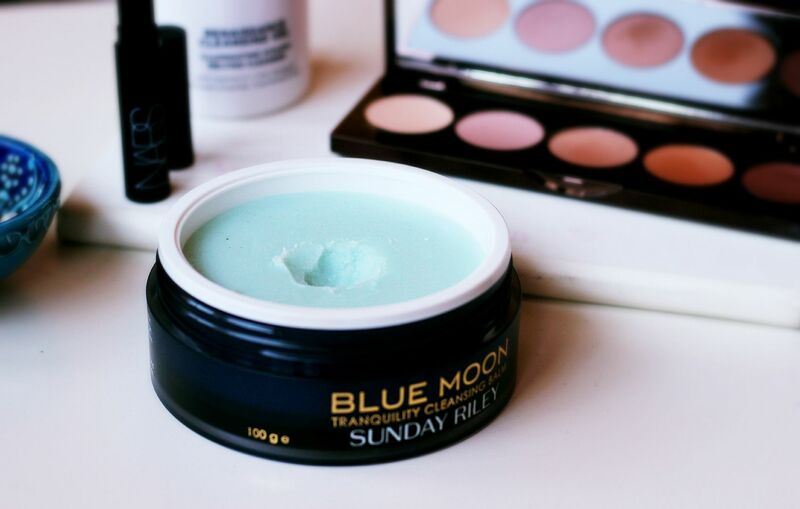 I was so so excited when I saw the Sunday Riley Blue Moon cleansing balm in store. I had an innocent little look, and omg it smells incredible and omg so oily and balmy and surely this will make my skin amazing? As you can see, I got to work on it immediately and scooped some out. It’s early days but this gives the perfect amount of slip on the skin to give yourself a nice facial massage. Mmm, relaxing. Two exciting makeup bits next. Firstly the Becca ombre rouge palette, because I have been waiting for this for so long. Actually Char alerted me to its presence in the UK – I threw myself across the room so quickly and ordered it in a flash. 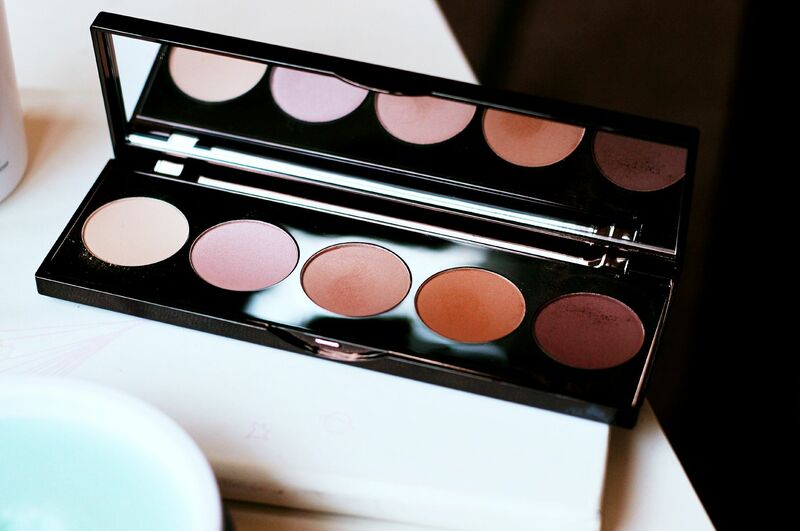 Basically it’s a palette of warm shadows – love love love. Finally, the NARS pure matte lipstick in Amsterdam. Why had I waited so long for this. I love matte lipsticks and I love NARS, so I don’t even know why it took me so long! I wore it yesterday, and it is… very matte. My lips are feeling sore today. This needs some serious balm action. Approach with caution. Have you picked up anything nice recently? 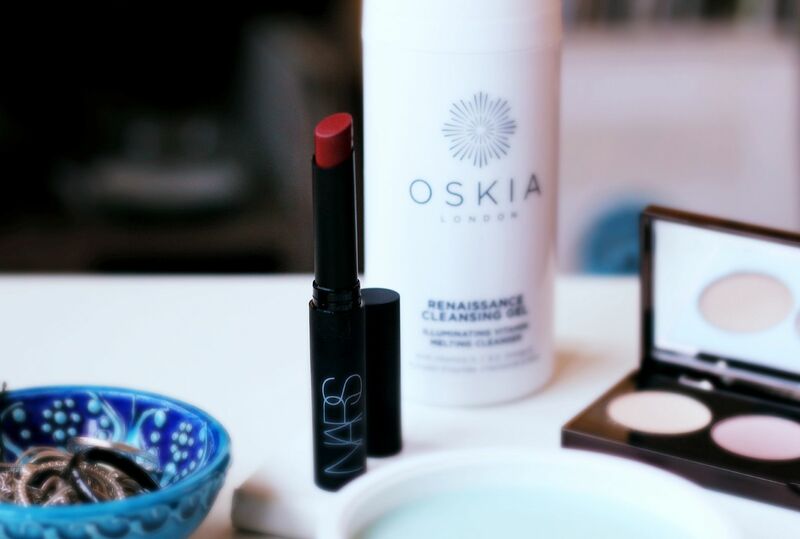 Handbag heroes: my emergency touch up kit.